President Yar’Adua, Please Fix Lagos-Shagamu-Benin Expressway! The Lagos-Shagamu-Benin Expressway is in a very horrible state. Although it has deteriorated quite beyond what anyone could have imagined was possible in a country ruled by human beings, no one can recall any meaningful attempt made in the past few years to halt its progressive decay. Indeed, the unmissed, out-gone regime of Gen Olusegun Obasanjo was unable to conceal the fact that the rehabilitation of that road was not part of its priorities. It instead found more pleasure and fulfillment in erecting several signposts bearing the scary photograph of Gen Obasanjo and the shameless lie that it was rehabilitating the road. In addition, the irremediably corrupt and inept regime also awarded mouthwatering contracts to one or more of its cronies to build some brightly painted bungalows at several points along the road, as offices or observation posts for its clearly phantom road maintenance agency workers who were supposed to be rehabilitating the road. Well, those fine buildings are not entirely useless now. They provide comfortable shelter for criminals, lizards, snakes and other wild animals. I was on Lagos-Shagamu-Benin Expressway last week and my experience was most traumatic. Even though we took off quite early, about 8.am, from Lagos, with a very sound, new vehicle, I was only able to get to my destination in the East by about 8.00pm. Yet, this was a journey that should, ordinarily, not have taken more than six-to-seven hours or even less! The traffic hold-up, which I understand is an everyday trauma for regular users of that road, can hold somebody at a spot for several hours. Because of the very deep holes that adorn the road, big vehicles are always spoiling, being stuck or falling down on the road, thereby rendering the lane involved impassable. Motorists would now be left with the option of using the other equally bad lane. And because of the usually heavy traffic on the road, the hold-up witnessed daily on that road is an experience not even a demonized mind can wish for his worst enemy. The reputation of this road as the bloodthirstiest slaughter-slab in the nation has since been firmly established. The accident scenes one encounters each time one uses the road are so many, that they can cause even the warmest blood to congeal. It is so benumbing. It is so frightening. What a shame! Last week, somebody showed us a village footpath through which we avoided most of the traffic jam. We had to pay some very unruly young men (and even women) who had mounted roadblocks on those footpaths to collect tolls from the strangers who had turned their once serene village into a busy thoroughfare. The behaviour of the young men made some of the travelers to begin to entertain fears about their lives. Indeed, if somebody had not shown us that village route, maybe, judging from the kind of traffic jam I saw, we would have been trapped there till past midnight. The other day, some people returning to Lagos spent a whole two days on that road, because, both lanes were blocked by big trucks who had either spoilt while trying to crawl past the deep holes on the road or fallen down. Man-hours were wasted in an already prostrate economy. Lives were cut short as people developed hypertension, just because they decided to make a journey in a country somebody claims to be ruling. These days, those who are trapped in those terrible hold-ups have become easy preys to daredevil armed robbers/rapists, who descend on them once night falls. So how long would this madness, this hell-on-earth, continue? How long will Nigerians continue to witness avoidable bloodshed on this road? When will users of this road stop developing High BP and Hypertension, because they are trapped in a horrible hold up all day long, punished by the implacable sun, and tormented by the fear of what may befall them once night time comes? 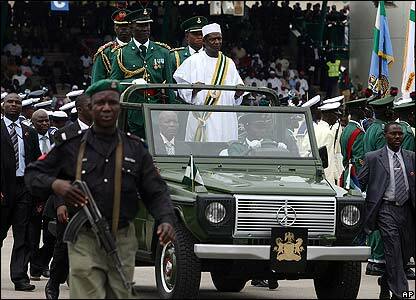 Considering the importance of Lagos-Shagamu-Benin Expressway, as the only link between the West and the East, and several parts of the South-South, and the volume of daily business transactions that take place between these two zones, President Umaru Musa Yar’Adua, must show right now that he wants to fix the road without any further delay. The matter is too urgent. It just cannot wait. Yar’Adau should in fact declare his State of Emergency on the road, award the contracts for its rehabilitation to several construction companies, and let Nigerians know which company is responsible for any part of the road. As we approach the so-called “ember-months”, the volume of traffic on that road is bound to almost triple. What then would the situation be like? Many people from the East and the South-South will use this road during the Christmas and New Year period. On no account should Yar’Adua allow Nigerians to taste the kind of hell they experienced on this road last December and January. 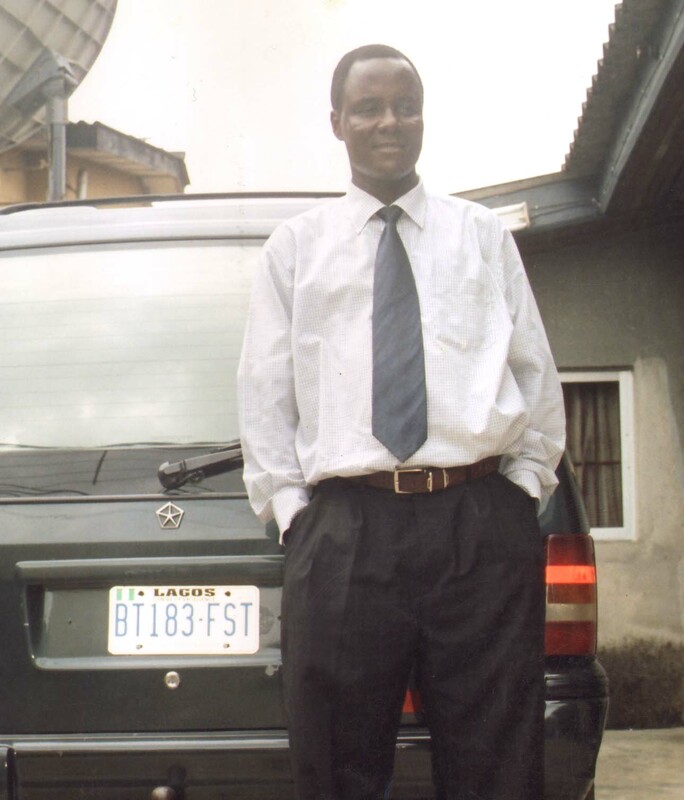 I would remember that during that period, my family and I spent nearly twelve hours on that road before we could even get to Asaba, and were involved in accident when it was pitch dark, from which God delivered us, even though my car was badly damaged. Many other people were not as “lucky”. Many have worse tales to share, while many more are not even alive today to tell their stories of woe. Mr. Yar’Adua must intervene immediately and halt the daily bloodshed that is going on that road. The deaths being recorded on that road daily have almost surpassed what is being experienced at some warfronts. I would suggest that Mr. Yar’Adua, if he truly means to be a man of the people, should take a trip on this road urgently to have a feel of the daily trauma human beings with blood in their veins like him experience everyday. That is what patriotic leaders do in every properly run nation. 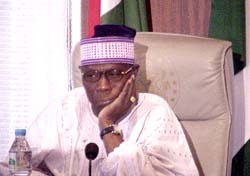 Unfortunately, during his notorious reign, Gen Olusegun Obasanjo tried as much as possible to avoid any contact with the bad Nigerians roads. He would alight from his Presidential Jet and step into a waiting helicopter to either go to his farm or any other place. I just hope Mr. Yar’Adua has not allowed Obasanjo to pass this most atrocious habit over to him. Only recently, when he came to Lagos, Yar’Adua was reportedly flown from the airport to Dodan Barracks in a helicopter, thus, robbing himself of a good opportunity for a direct acquaintance with the horrific federal roads in Lagos. I must advise him to purge himself of this ignoble habit, which Obasanjo gloried, if he must expect people to take his promise of abolishing what he called the “elite ruling class” serious. He must identify with the people’s sufferings, that way, he would feel concerned enough to do something about them. So, President Yar’Adua, what I want to hear next week is that you are doing something about Lagos-Shagamu-Benin Expressway. Please, no excuses!